£65 per horse or £60 per horse if 3 or more at same visit – includes visit, sedation, oral examination and routine dental treatments including rasping. We recommend routine regular dental examination as part of your horse, pony or donkey’s healthcare plan. Generally, we suggest routine examination is performed annually, but we may recommend more regular visits if your equine has ongoing dental disease. If your equine is noted to be dropping food, has reduced appetite, weight loss, nasal discharge, lumps or swellings around the jaw or problems when bitted we may recommend additional dental examination. In most cases, we will be able to carry out full examination and treatment on your yard. We have access to a range of motorised and non-motorised tools to allow us to handle most dental abnormalities. 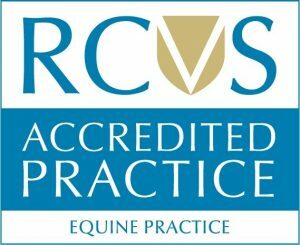 Occasionally if your horse requires advanced imaging or treatment we may refer you to a dental specialist veterinary surgeon for this work to take place. We usually recommend your horse is sedated to allow a detailed examination to take place and any work required to be carried out with minimal stress to the patient. We will work with qualified Equine Dental Technicians (EDT) and do provide sedation for horses that require it for an EDT to work, however it is often more cost effective for the owner to have the veterinary surgeon carry out the work if the horse requires sedation. We recommend owners are fully aware of the status of their chosen professional for dentistry. We suggest our clients read here to understand who is permitted to do what in a horse’s mouth under the current legislation. We offer a text message reminder service to clients who have previously had dental examination carried out by one of our vets, at the follow-up time recommended by the vet who previously examined the horse.